Something called the Little Free Pantry allows anyone to leave food or other supplies for people in need. Those in need can come by and pick up any item they wish. Anyone can donate and anyone can take an item, creating a giving community and helping bring neighbors together. It hopes to address food insecurities and food deserts that many people in the towns face. The genius Little Free Pantry is the brainchild of 41-year-old Jessica McClard. She noticed that Fayetteville had lots of Little Free Libraries popping up that allowed users to take and donate books without paying a penny. Motivated by the idea that books nourish the soul, McClard sought to use a similar idea to literally nourish people in her town. McClard kicked off the project with a $250 micro-grant from Thrivent Financial. This was used to build the structure that would house the free items. On May 10, she “opened for business” in front of the Good Shepherd Lutheran Church. She’s noticed that people are often quick to grab feminine hygiene products, peanut butter and jelly, and diapers. And while these products are always in demand, McClard has also done a theme day in the Little Free Pantry’s short tenure, stocking the pantry with treats for kids on the last day of school including candy necklaces and jump ropes. 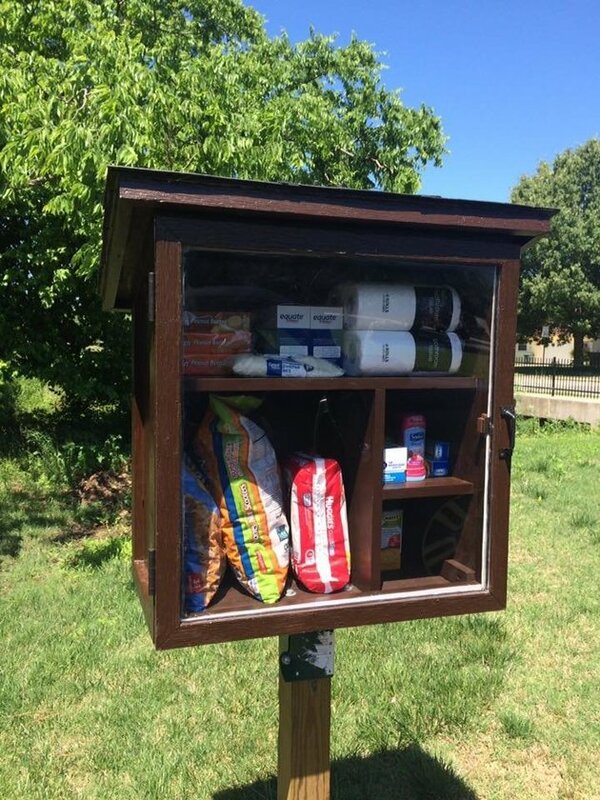 The Little Free Pantry in Fayetteville, Arkansas has proved to be such a success in its hometown that it has spread to northwest, Arkansas in a town called Weiner. The Facebook page for the Little Free Pantry has already garnered over 10,000 likes. Good idea but sadly only foods with preservatives, in cans or flours would survive. To be really healthy we need more fruit and vegetables. Now if you replaced those pantries with a free ‘orange, apple , and pear trees’ that would be fair more beneficial. Um, as far as I know, ALL libraries are free, although, perhaps not all are accessible to everyone.